BMX Shop & Mailorder » BMX Parts » Hubs + Co. » Hubs Spare Parts » Driver + Co.
With this Kink Bikes "East Coaster Freecoaster" Gap Washer Set you can adjust the gap of your Kink Bikes "East Coaster" Freecoaster variably by adding or remove these gap washers. You need to replace the Driver, the axle and the non drive side bearing to install these gap washers on the backside of the clutch. 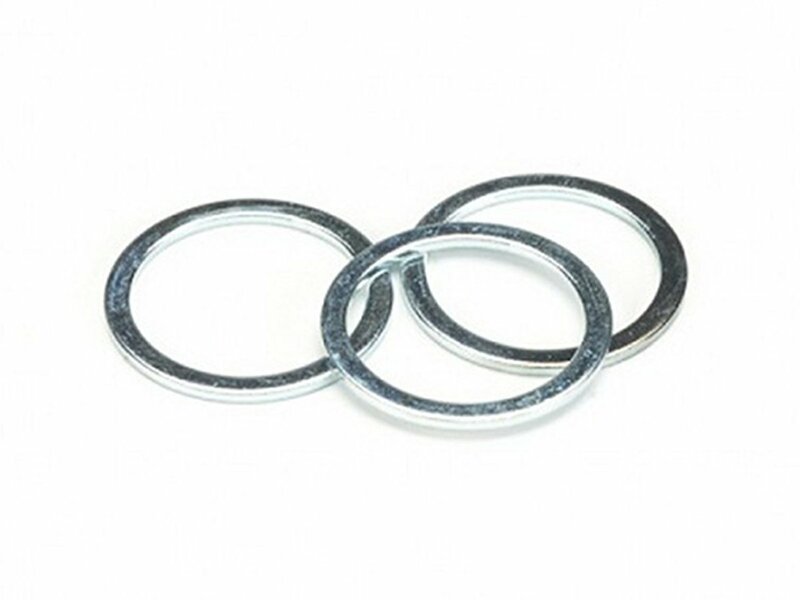 The more gap washers you install, the smaller the gap will be.